The Jailer's Home was built around 1820 to 1823, and was owned by the Smedley Heirs. Initially, it is believed that the building was used as a dwelling with a barn and outbuilding on the property. The Smedley's also owned the building next door referred to as "Ole Cap Fulton's Shop".The Jailer's Home dates itself by the brick design called headers and stretchers. Inside the building, The stair rail and type of flooring are structures indicating the date of the building. The stair rail is cherry with oak risers. 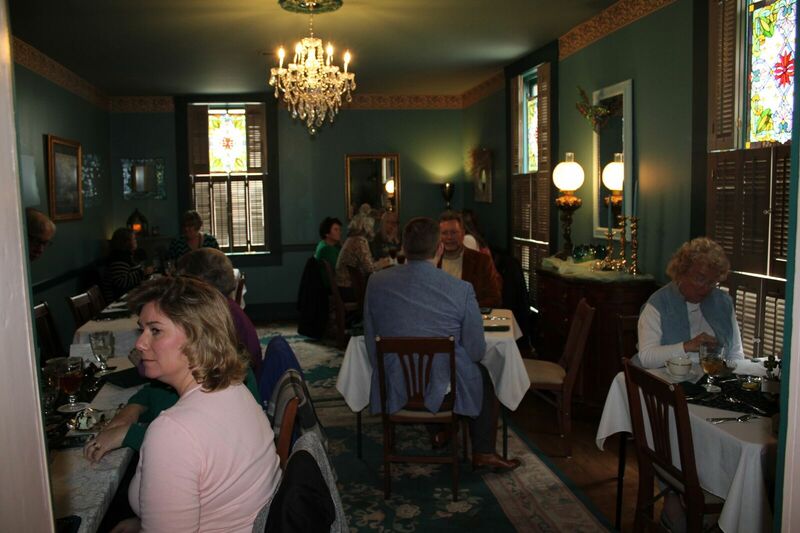 The white pine floor and most of the woodwork are the building's original.The Fiscal Court purchased the property in 1857 adding a jail below the home. 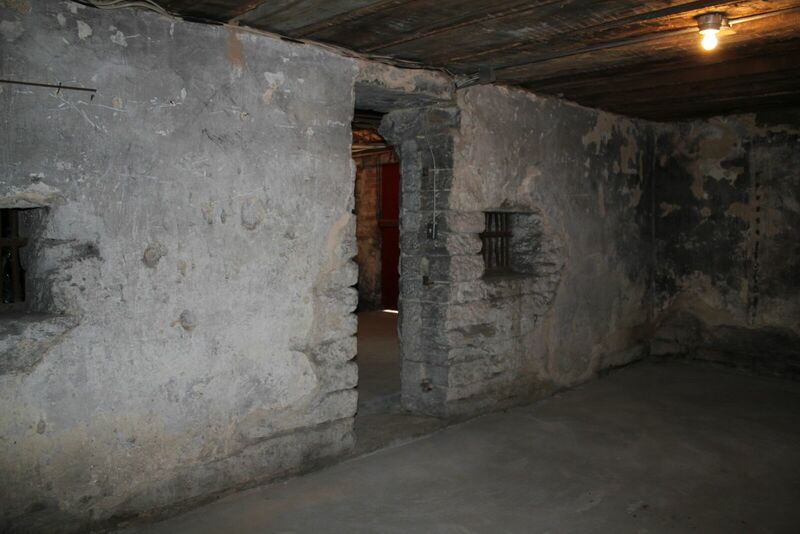 The jail walls were laid with rock and plaster and a log ceiling covered with plaster was added at a later date. Coal stoves were used for heating. Names and graffiti are found within several cells.Jail records show of two prisoners escaping the facility. One prisoner played a violin while the other dug through the rock wall. The court addressed the poor condition of the jail by building on to the facility. The jail was called the "Black Hole of Calcutta".The court was aware of an act that was to be passed not allowing a jail to be above or below a dwelling. 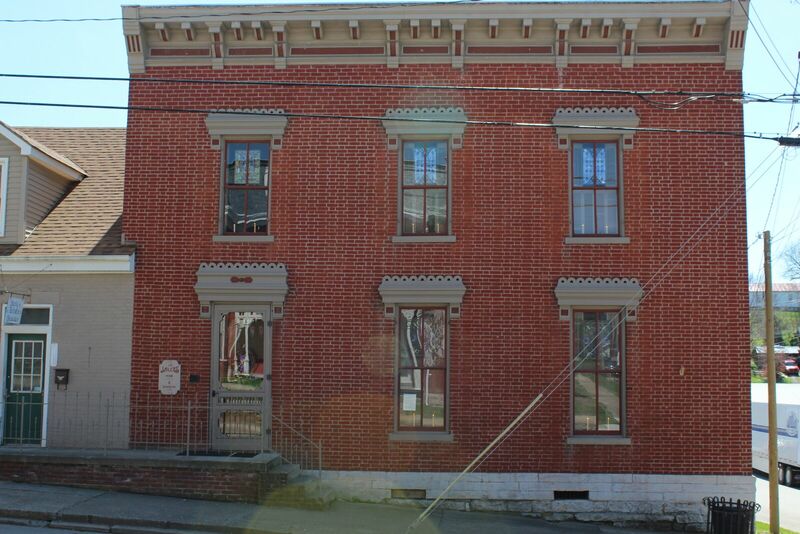 By 1866, a jail cell was added on the back of the house along with two cells upstairs. The cells downstairs had pass-throughs for food. There is evidence of pass-throughs in the Cinnamon room and the cellblock room off of the kitchen.In 1892, the court was still aware of overcrowding and poor conditions and built onto the large cellblock with a bull pen that locked. The cellblock and upstairs cells were used until the building closed on June 2, 1982.Years of sporadic water damage that led to mold spore growth in the ceilings left the Jailer's Home in terrible condition. Once an attractive home, the Jailer's Home had become a local eyesore. Walls were cracked. Wallpaper and paint were peeling from the walls. Graffiti had to be removed. Modern paneling was needed in several rooms. The stairs had nine coats of paint and took three months to strip the stairs to its original natural beauty. The hall had 17 layers of wallpaper and borders. When removing wallpaper upstairs the name Null Codell appeared. He was the wallpaper hanger from the Millersburg area in Bourbon County. Scaffolding holes were found in the paneling as well. Carlisle-Nicholas Co. Tourism, Inc. leased the building for 20 years with the option to renew. Funds were received from two grant applications. The Fiscal Court and the City of Carlisle provided funds as well. A agreement was made with the state government that allowed $15,000 in "in-kind service" from our local National Guard. The following year, $7,500 was provided. Several local in-kind workers were involved.In 1991, the Jailer's Home became the headquarters for the Carlisle-Nicholas Co. Tourism, Inc. It is used by civic groups, available for private parties, and hosts an annual Haunted tour.